Governments don't usually hike taxes and get cheers for it. But Britain's decision to levy a higher rate of tax on investors in its red hot housing market will be welcomed by many. Finance minister George Osborne said Wednesday people buying a second home, or a home for rental income, will have to pay an extra 3% of the purchase price in tax. Currently, anyone buying a property worth £125,000 ($188,000) to £250,000 ($375,000) pays "stamp duty" of 2%. Duty of 5% is levied on any value above that, up to £925,000 ($1.4 million). The rate rises to 12% above $2 million. The extra 3% will be charged on top of those rates, and will apply to British buyers of investment or holiday properties, as well as foreign investors, who have been blamed for pushing prices out of reach of many people -- particularly in London. Buyers from China, Russia and the Middle East often pay cash for London apartments, and have therefore been unaffected by changes in mortgage lending rules designed to try to cool the housing market. "Frankly, people buying a home to let should not be squeezing out families who can't afford a home to buy," Osborne said. London property has been a great investment for those with plenty of spare cash, thanks to a limited number of new homes and strong demand, fueled in part by foreign buyers looking for a safe place to park their money. Property developer Galliard Homes boasts on its web site that a property bought in east London's docklands area in 1993 has jumped 900%. UBS says London prices have jumped 40% since 2013 alone, and that a substantial correction could be on the horizon. The independent budget watchdog, the Office of Budget Responsibility, says the tax increase should reduce the number of house purchases from 2018. It takes effect from April 2016. The average home in the city now costs £500,000, meaning many Londoners can now only afford to rent. That in turn heats up the market for rental property. The OBR says the proportion of U.K. properties rented, as compared to owned, has doubled since 2000. While the tax change may cool activity and prices, making owning a home more affordable, tenants could suffer. "Landlords will need to pass on the increased... costs to tenants, who will in turn see less spent on maintaining their property and of course see increased rents. 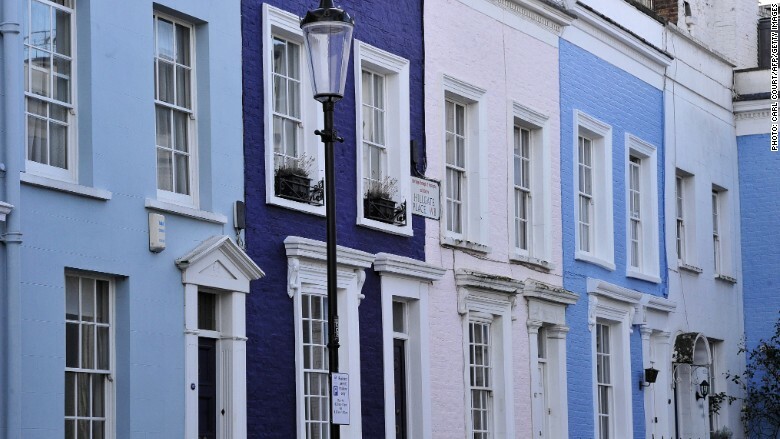 The changes will also deter new landlords from entering the market," said the Association of Residential Letting Agents. Paul Smee, the director general of the Council of Mortgage Lenders, said the government should tread carefully. "With the private rented sector housing around a fifth of the population, we do need to avoid unintended consequences," he said. Still, the government clearly expects people to buy investment property. It is predicting the higher rate of tax will raise an additional £880 million ($1.3 billion) a year by 2021. Some of that money will go to support local residents in areas affected by an influx of second home buyers.